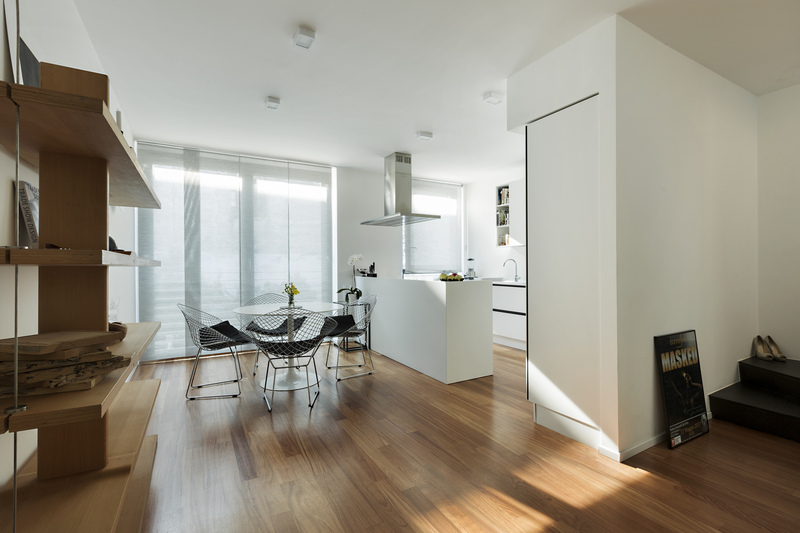 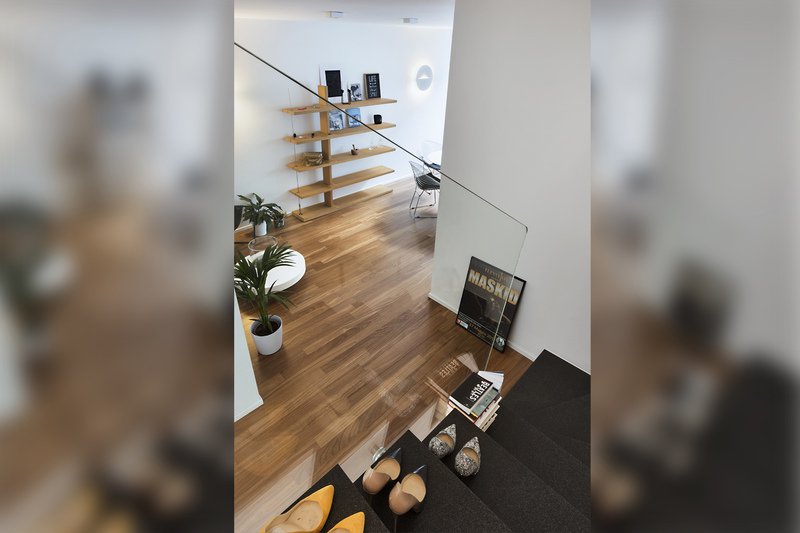 The renovation of this two-story apartment, has tried to preserve the best features of pre- exisiting, adding only few essential elements as regards the design proposal. 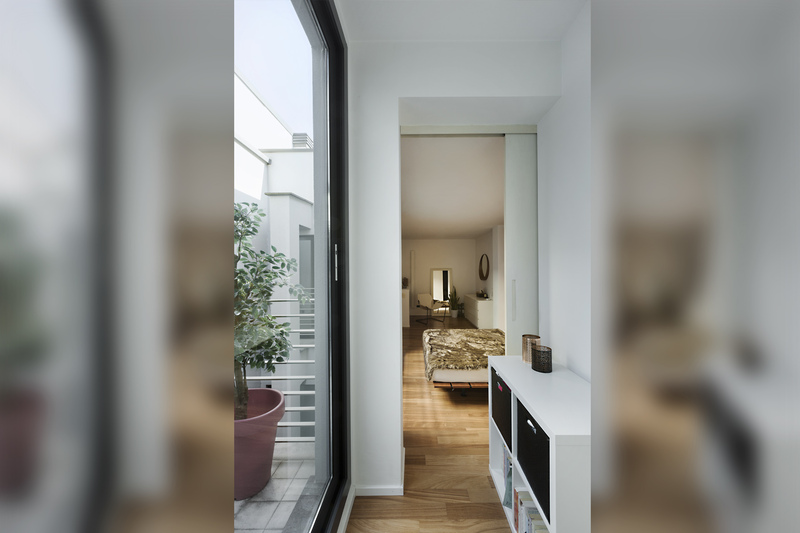 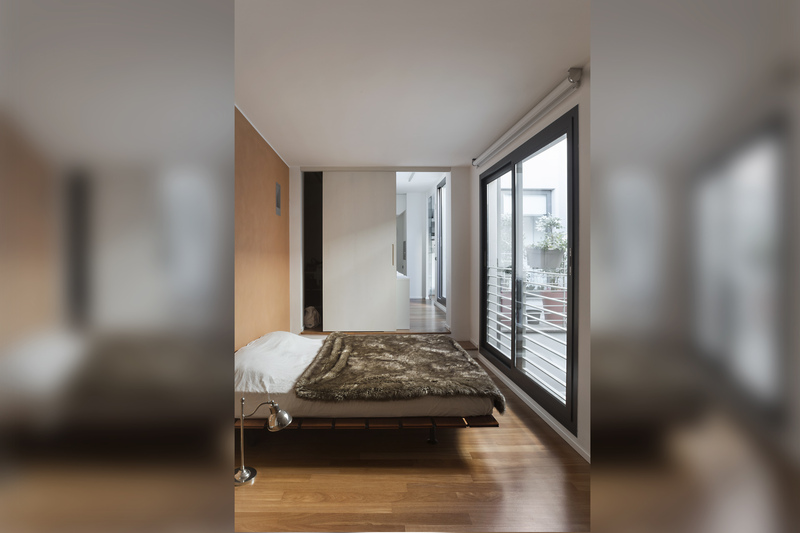 A large walk-in closet has been made to create a filter between the bedroom and the living area, thus satisfying the Clients’ need for privacy. 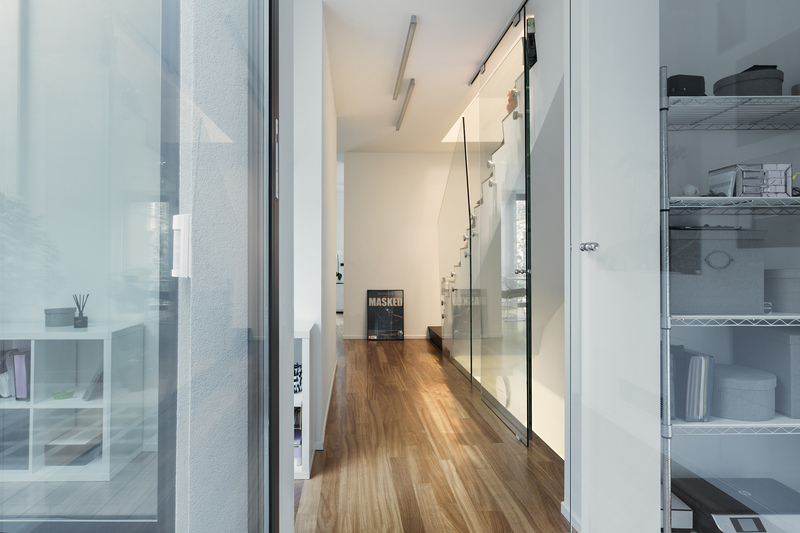 For the rest of the apartment, large glazed partitions create a spatial unicum, allowing natural light to penetrate inwards and to spread also through the staircase. 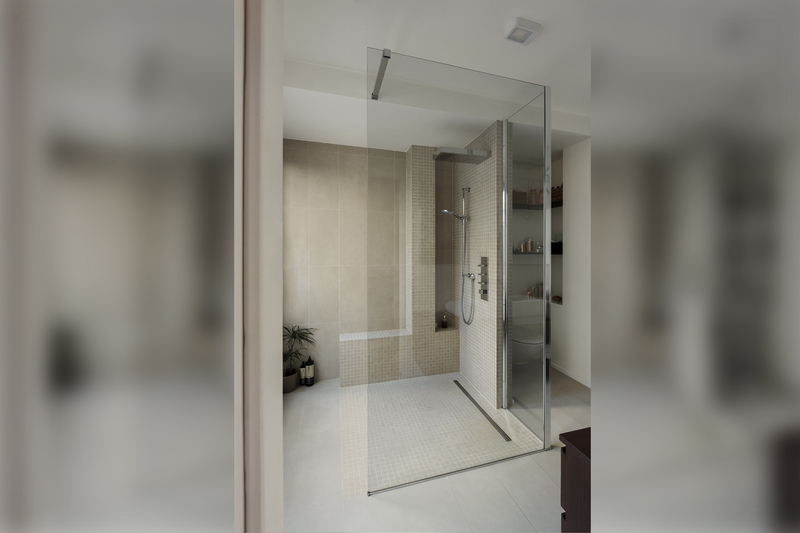 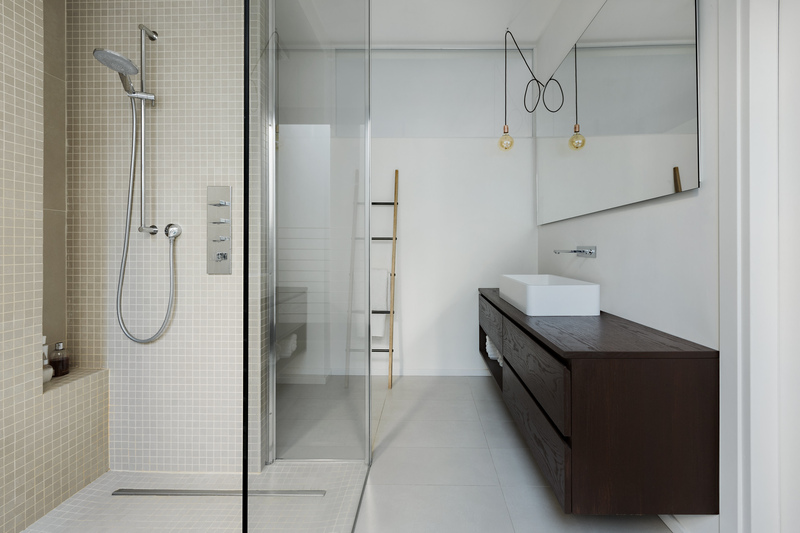 The master bathroom is characterized by a large shower , whose floor is made by the same the material of the rest of the bathroom, although used in a different format.